Wil has been a welcome addition to many weddings through out his career. 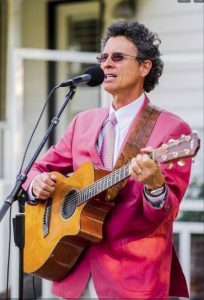 He has performed during ceremonies and at receptions and his style really shines when he performs during dinner or before other wedding events when there may be an open bar. 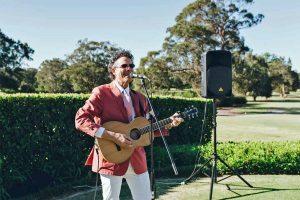 His relaxed style allows guests to visit and celebrate while enjoying elegant vocals and guitar. I just wanted to write you and say thank again for singing at our wedding the other night. You were absolutely unbelievable and the guests were blown away. Don’t be surprised if you get some requests from guests at our wedding to sing at one of their events!!! I also appreciate you staying a little longer, especially seeing it was your birthday!!! You made our wedding something David and I will never forget, your music was the perfect touch to a perfect evening!!! “I married my best friend this year on August 27, 2016 and it was the event of the decade. Everything turned out spectacular especially the music. I would like to give a large thank you to Wil Roberts for his exquisite performance. He sang before the ceremony and then 4 songs during the ceremony and had to learn 2 of them. Hearing him play you would not know that he just learned those two songs. It was beautiful and I was more than satisfied with his performance. My husband had no idea what songs I picked and he was blown away by Wil’s performance upon hearing them. If you are hosting an event with music, I would highly recommend hiring Wil to perform. He was easy to work with, punctual, and kept in contact from planning up until wedding time to make sure everything would go according to plan. Acoustic Solo Singer & Bass Guitarist, Los Angeles, CA.